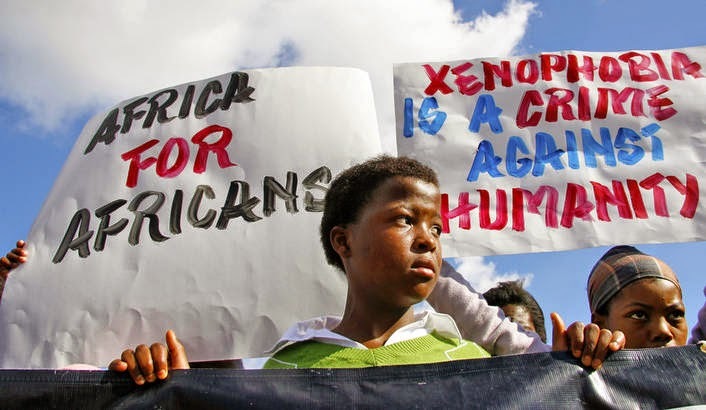 I have been listening carefully to commentaries and news items on the terrible xenophobia crisis in South Africa. One piece of information seems to be missing. I am not hearing any news on why black South Africans are killing foreign Africans in their country. Somewhere in the fine print I finally found the reason. It is lack of employment. Black South Africans at blue-collar jobs level feel that Africans from north of the Limpopo River are taking away their jobs on the farms, in the factories, on construction sites, etc. This begs the question: Why do South African employers prefer foreigners to indigenous South Africans? It is because foreigners are harder working, more faithful in their jobs, and more satisfied with low salaries. That makes a lot of business sense, doesn’t it? That is happening all over the world. Go to the USA and you will find almost all blue-collar jobs taken up by Latinos. Go to Western Europe and you will find almost all hotel cleaners are from Eastern Europe. They are harder working and that for less pay! The reason why there is less xenophobia in the USA and Europe (notice I said “less”) is because unemployment levels there are almost zero. Now go to South Africa and see the tens of thousands of people from the townships standing by street corners begging for work. These men often return home jobless and hungry. The few who get jobs find people there who cannot speak Xhosa or Zulu. The message is clear: These foreigners are the people taking our jobs. The rest is bloody history. As we say, a hungry man is an angry man! We have a similar situation brewing in Zambia with the tens of thousands of Chinese nationals who are taking up jobs as watchmen, cleaners, drivers, construction site and farm workers, etc. Sadly, the voices that are saying, “These Chinese should go!” are getting louder. Notice, we do not say that about Europeans and Americans in Zambia because they are occupying jobs that people in the compounds only occupy in their dreams. That, by the way, explains why this xenophobia in South Africa is not against white foreigners! So, what is the solution? The first is that the government of South Africa should address the problem of unemployment in the country. It should protect its job market. Black South Africans will remain angry as long as they are hungry whether we like it or not. Xenophobia is a ticking time bomb. Merely condemning it does not diffuse the bomb. Citizens must have jobs. So, job-creation must be high on the minds of our leaders. Sadly, African politicians spend too much time thinking about themselves and not their citizens. The Christian church in South Africa should also educate its members and the general public about the biblical teaching on human beings made in the image of God. God will demand an accounting for every person whose blood is shed. We must never forget that. Church services that comprise hours of singing and dancing to endless and mindless choruses followed by popular “witchdoctor” sermons that promise people jobs if they “sow a seed” will not stem the tide of xenophobia. We must help our people to think biblically! 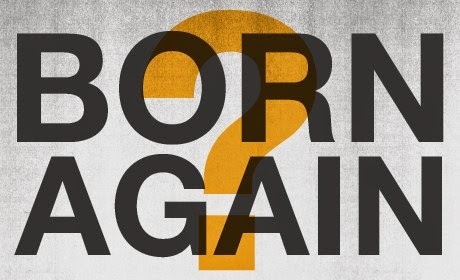 On February 15, 2015, I wrote a tweet in which I said, “We're born again in order for us to repent & believe; & not that we repent & believe in order to be born again. Regeneration comes first!” This caused quite a stir and a lot of discussion ensured from it. One person asked me to explain and I promised to do so. This is what I am doing now. First, let us get our vocabulary straight. There are many words that are used both in the Bible and in normal Christian vocabulary to refer to the new birth. These are words like “born again”, “born from above”, “born of the Spirit”, “given birth to”, “made alive”, “regenerated”, etc. They all refer to the matter that we are dealing with in this blog post. The new birth is an act of God whereby he infuses spiritual life into spiritually dead sinners. It is this spiritual life that enables sinners to sense the danger they are in (i.e. the wrath of God) and to see the sufficiency of the Saviour to save them from sin. These two realities become as true to them as the physical world that they see around them. When a person senses his danger and sees the sufficiency of the Saviour, he subsequently repents from sin and calls upon the Lord Jesus Christ to save him. So, in the order of salvation the new birth precedes conversion (i.e. repentance and faith). Rather, it secures conversion, which is something we do. We repent. We believe. The Bible also says, “As for you, you were dead in your transgressions and sins… But because of his great love for us, God, who is rich in mercy, made us alive with Christ even when we were dead in transgressions… For it is by grace you have been saved, through faith—and this not from yourselves, it is the gift of God” (Eph. 2:1-9). This must be obvious. Without this act of God, we cannot believe the gospel. The Bible says, “The man without the Spirit does not accept the things that come from the Spirit of God, for they are foolishness to him, and he cannot understand them, because they are spiritually discerned” (1 Cor. 2:14). A man must have the Spirit first in order to accept the gospel message. This happens in regeneration. In the Gospel of John, the Bible says, “Yet to all who received him, to those who believed in his name, he gave the right to become children of God—children born not of natural descent, nor of human decision or a husband’s will, but born of God” (John 1:12-13). Notice the order. The ones who were given the legal right to become children of God are those who received Jesus Christ and believed in him. Yet, they were not born by a human decision. They were already born by a divine decision. They were born of God! The use of the word “birth” in the Bible should be sufficient to convince us of this order, that the new birth precedes conversion and is not a product of conversion. Even in the physical world, we do not do something in order to be born. It is our parents who do something that results in our conception and our birth occurs nine months later. It is because a baby already has life that it cries for oxygen upon being given birth to. We call it “the cry of life”. This cry is inevitable because the baby is already alive. If a baby does not cry at birth it means that it is born dead. It is not the cry of life that gives it life. It is because the baby is already alive that it cries. This is why when Nicodemus asked whether he should enter his mother’s womb in order to be born again, Jesus said that the new birth is not something a human being does. Jesus said, “Flesh can only give birth to flesh. It is the Spirit that gives birth to spirit” (see John 3:6). The new birth is something you experience, not something you do. And, as if that was not enough, Jesus went on to say that in this matter God is totally sovereign. We cannot predict whom he is going to give the new birth to. “The wind blows wherever it pleases. You hear its sound, but you cannot tell where it comes from or where it is going. So it is with everyone born of the Spirit” (John 3:8). The means that God uses to bring about this new birth is the Word of God, the gospel of our salvation. Thus we read in James 1:18, “He chose to give us birth through the word of truth, that we might be a kind of firstfruits of all he created” (NIV). It is a sovereign act of God (“he chose”) but it is through the instrumentality of “the word of truth”. This is not something that only James taught. The apostle Peter says, "For you have been born again, not of perishable seed, but of imperishable, through the living and enduring word of God... And this is the word that was preached to you" (1 Peter 1:23-25). Nothing can be clearer than that! Even an Arminian like Charles Wesley believed and taught this when he wrote in his famous hymn, “O for a thousand tongues to sing”. Notice the order. Jesus speaks. New life comes into sinners. We rejoice and believe. This is why salvation is all of grace. It is because God makes us alive while we are dead (and cannot do anything for ourselves). Then as a result of this being made alive we are enabled to repent and believe. Salvation is the work of God and not of ourselves. Since God uses his Word as an instrument in his regenerating work, it does not render preaching irrelevant. We do not sit back as preachers and say, “Well, since God regenerates those whom he wills and whenever he wills to do it, there is no need for us to preach the gospel.” No! We pray to him before and after we preach that he may use the preached word to give life to the dead. When he does so, we know they will believe. Since the new birth is an act of God, it keeps those of us who preach the word of God humble even when many people get converted through our ministry. We realise that the power to convert sinners is neither in us nor in our preaching. As Paul puts it, “I planted the seed, Apollos watered it, but God made it grow. So neither he who plants nor he who waters is anything, but only God, who makes things grow” (1 Cor. 3:6-7). Again, since the new birth is a sovereign act of God, it keeps those of us who preach the word of God from using tricks—dimming lights, playing music that can cause a rock to shed tears, etc. As Paul puts it in 2 Corinthians 4:1-6, we have renounced secret and shameful ways; we do not use deception, nor do we distort the word of God. On the contrary, we know that (1) Our gospel is veiled to those who are perishing because the god of this age has blinded the minds of unbelievers so that they cannot see the light of the gospel, and (2) It is God who said, “Let light shine out of darkness,” who makes his light shine in our hearts to give us the light of the knowledge of the glory of God in the face of Christ. So, all we do is to preach the gospel faithfully, pleading with sinners to be reconciled to God. God will infuse life into those whom he pleases to save! As a continent, we all had our eye and ears on Nigeria’s recent elections for obvious reasons. For one, it is the most populated nation in Africa and it has one of the strongest economies on the continent. So, surely a nation that strong should attract our attention any time. Then factor in the religious scene of Nigeria. It has some of the richest pastors in the world and has been exporting its brand of Christianity across Africa and the world—wherever Africans can be found. Presidents go there to have prophets prophecy over them. Speaking about religion, Nigeria is one place where Islam and Christianity have locked horns in the recent past. The Boko Haram attacks in the northeastern corner of Nigeria have had all of us sitting at the edge of our seats. They have been ruthless, to say the least. 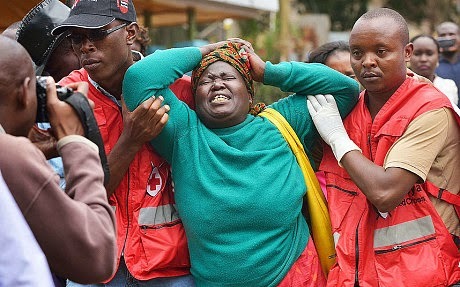 So, when a nation like that goes to the polls to elect its president, the whole continent pauses and utters a prayer to God that all will go well. Too much is at stake. We all know that if Nigeria catches a cold, we will all be sneezing across Africa for some time to come. When we heard that the incumbent president, Goodluck Jonathan, who was initially leading was now trailing his chief opponent, Muhammadu Buhari, with little hope of reversing the trend, we drew even closer to the edge of our seats fearing for the worst. We all know that African presidents rarely yield to the ballot box. They find ways of demanding a rerun until they win—by hook or by crook. They will even go so far as to claim that the opposition rigged the election that was being run by their own government! 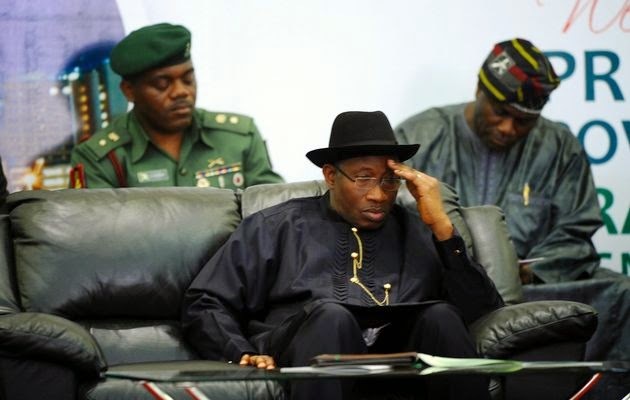 The whole continent was relieved to hear President Goodluck Jonathan announce that he was conceding defeat and even congratulate the opposition leader for scooping the victory. Since then messages of praise have gone to the man who has been defeated. Wisdom is not only seen in the way we handle victory but also in the way we handle defeat. Goodluck knew he had run out of good luck. That is wisdom. So, why continue to fight when you know that God has passed on your sceptre or mantle to someone else? The Bible says in Isaiah 40:22-23, “The Lord sits enthroned above the circle of the earth, and its people are like grasshoppers…He brings princes to naught and reduces the rulers of this world to nothing.” In other words, this is the doing of God. Part of true religion is simply learning to do your best while God gives you leadership and then gracefully stepping aside when God says your time is up. Thankfully, when Jesus saves you from sin he also gives you the humility to submit to the Father’s sovereign will.